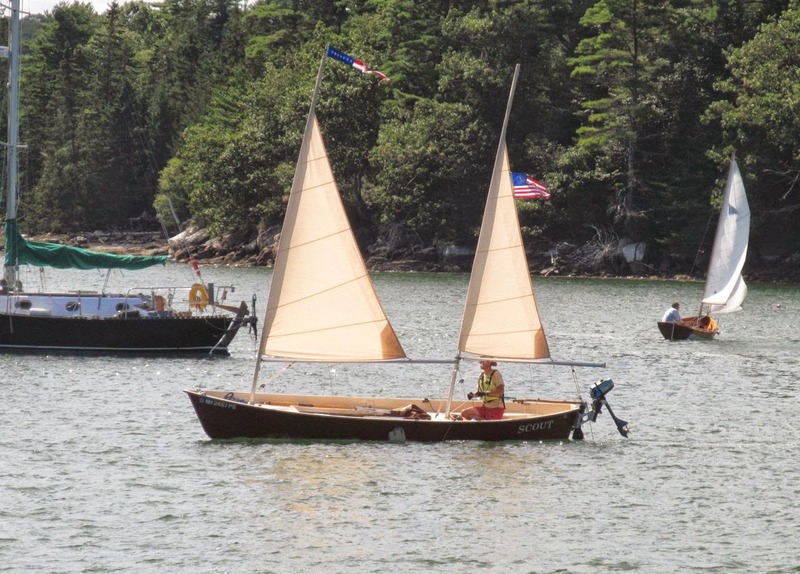 Goat Island Skiff Amateur Style and the Sea Pearl 21 Too: Reefing. With my Goat Island Skiff, I can tuck in three different reefs. Below is full sail vs. "Reef #1" and "Reef #2" and "Handkerchief reef" for the days when it's blowing 30+ and I'm by myself (this hopefully doesn't happen on a regular basis). hey i have a 9' balanced lug, but it doesnt have any reefing lines attached to the sail, is there anything i can buy (glue on?) or a guide to attaching them? On the beach waiting out the fog. Rigging woes and possible solutions? A good read on drowning.